After the success of January’s pop-up ‘Pirate’ Store by Japanese brand A Bathing Ape, the brand more commonly known as Bape are set to return in July with another pirate invasion. 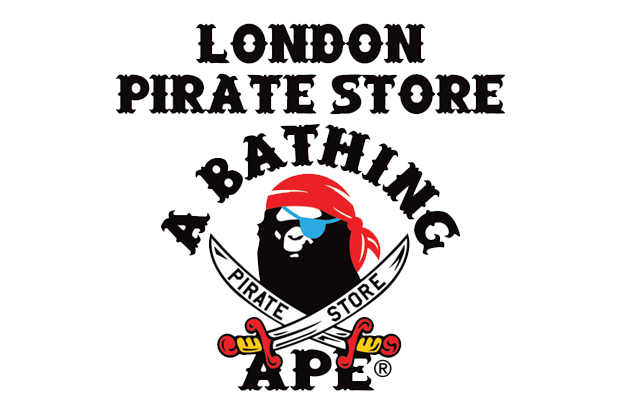 Bape brought their first ever European Pirate Store to the streets of London earlier in the year, and we heard rumours of round-the-block queues and insane finds – the second promises to be just as good. Starting off life in Tokyo, before traveling to New York and eventually landing in London, the Pirate Store is an exclusive pop-up store, decked out in Pirate paraphernalia and filled with hidden treasure – including rare, long forgotten and special edition items. Keeping up with tradition, Bape will release a series of pirate branded tees, which will drop every other day in the store’s 9 day residency. 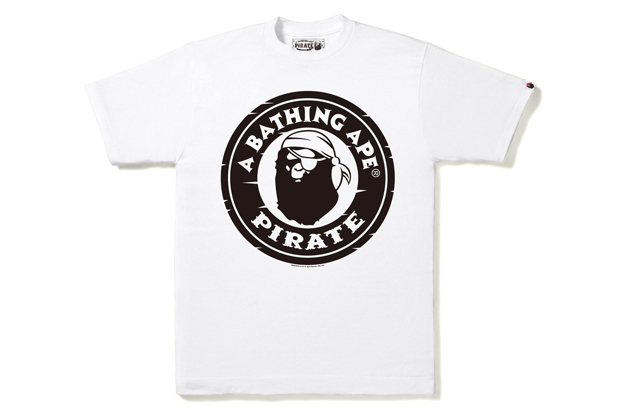 Below you can get a glimpse at the first of those T-shirts, a white body with black Bape graphics on both the front and back, featuring pirate’ized logos. Bape sales are no common thing (although this is the second this year, they weren’t quite as regular at any point in the brand’s history), so this is a good chance to score a bargain or pick up some of the exclusive product. 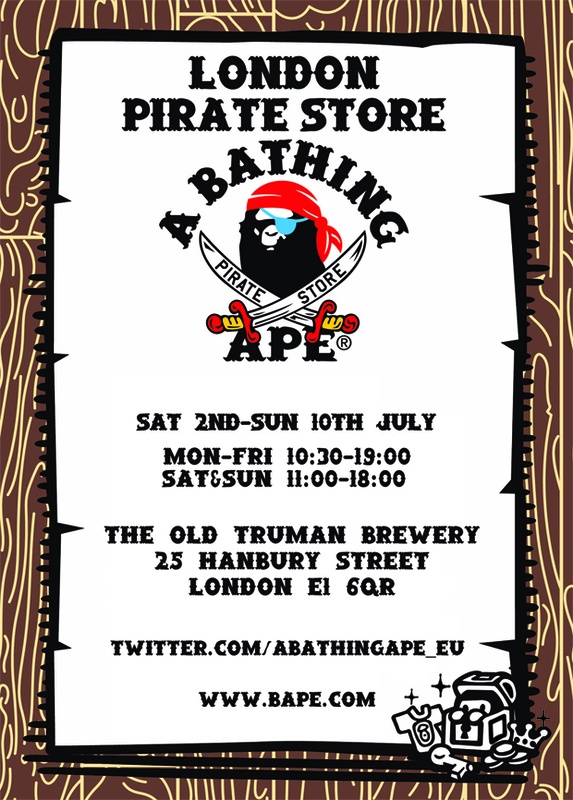 The Bape London Pirate store opens on Saturday July 2nd and runs until Sunday the 10th. For more info, check out Bape EU.